Literally every single player in the history of the game had their performance influenced by the map pool in one form or another, it is just a matter of severity. In order to distinguish the most flexible players in history in terms of their map pool depth, here is my choice of metric to measure their ability to perform regardless of the maps, I will rank all the players in history by the number of maps they had an ELO point of 2,100 or above. 1) A player's ability to completely own a specific map, but rather his ability to put out great performances across multiple maps. 2) A player's ability to string together great performances across multiple maps at the opportune moments in order to win big championships, because multiple great map performances may not coincide with one another. 3) A player's ability to perform on incredibly niche maps without sufficient sample size that allows for ELO points to rise above 2,100 for any player. So without further ado, here are the players (judged from a pool of around 60 professional maps from circa 2006 onwards, to preserve what is left of my sanity) with the widest effective map pools. Jaedong was arguably in possession of the widest effective map pool out of any modern day player during his professional years. Although his range was wider than most, the kind of maps Jaedong flourished the most were standard four player maps with over 1,000 matches played on it (which tended to exhaust those maps of any variance or surprises) such as Python or Fighting Spirit. Flash is in the discussion for the player with the widest effective map pool out of any modern day player, although on this list he lost out on a technicality due to his relative lack of maps where he scored 2,150 points or above, when compared with Jaedong. Flash also preferred four player maps such as Katrina or Grand Line SE, however, since none of the maps where he scored over 2,150 ELO points had been used in over 1,000 matches, perhaps it is fair to assume that Flash liked maps that still had something left for the imagination. Flash still did great in thoroughly played out maps, but his highest ELO points were achieved on somewhat less famous four player maps such as Katrina, Grand Line SE, Eye of the Storm, and Othello. Due to his extensive career, Stork has by far the most flexibility from a time-line perspective, having success on maps such as Neo Guillotine, as well as the more recent maps such as Aztec. Stork seemed to have a preference for two player maps, which were used less frequently in the professional scene than four player maps, but consisted half of maps where Stork scored over 2,100 ELO points. One could theorize that two player maps lessened the burden on Stork's mediocre multi-tasking, and accentuated Stork's stellar micro-management abilities. Bisu is the only player on this list to score over 2,200 ELO points on this list, an accomplishment something even Jaedong or Flash cannot boast. However, his effective map pool was not as large as one might expect for a player of such talents. Bisu seemed to have a soft spot for three player maps, despite it being the rarest form out of the usual competitive maps, excelling on maps such as Medusa, Aztec, and Longinus II. Three player maps, due to its rotational nature and difficulty in splitting the map in half, often lended way to fast paced multi-tasking warfares, which was Bisu's strong point. Due to the relative shortage in Light's overall sample size of maps he excelled in, it is difficult to recognize any particular patterns, but it does seem like Light didn't seem to mind zerg-friendly maps such as Icarus, and La Mancha, as well as obviously having a strong preference for terran-friendly maps such as Rush Hour 3 (where he scored his highest ELO points) and Neo Moon Glaive. This blog was created after a discussion was spawned over which players depended the least on certain kind of maps, and I wished to somewhat understand the map pool depth of modern day players (because judging the data from older generation of players turned out to be way too difficult). I quickly found out that apart from a dozen or so maps with vast same sizes, the rest of the maps mostly consisted of the top performing players only having a couple of games under their belts. Because I perceived such cases to be not worthy of being recognized at the same level as performing at a high level after playing more than a dozen games on a well respected map, I decided to put a threshold of 2,100 ELO points, a score that basically flushed out the vast majority of niche maps without sufficient data such as Tiamat, Central Plains, and Battle Royal. After going over the data of about 60 maps or so, I quickly gave up on the idea of doing the list for every player in history, and only focused on the more modern generation of Brood War professionals. Then, after realizing Jaedong and Flash had tied, I wondered if I should lower the threshold to 2,050 ELO points, or raise it to 2,100 ELO points to break the tie. Obviously, due to its convenience, I chose the latter of the two. This list isn't the top five greatest players of the modern era, and happens to measure just one small aspect of being a top level professional. As an example, Light was obviously a fantastic player, but his ability to plan out a series was downright awful, compared to his best-of-one abilities, and this quality can be lost on a player despite him having a broad effective map pool (under a best-of-one setting, as was the case for Light). Like I mentioned above, competitive success does not correlate exactly to map pool size, although it definitely doesn't hurt to perform well across a wide range of maps. 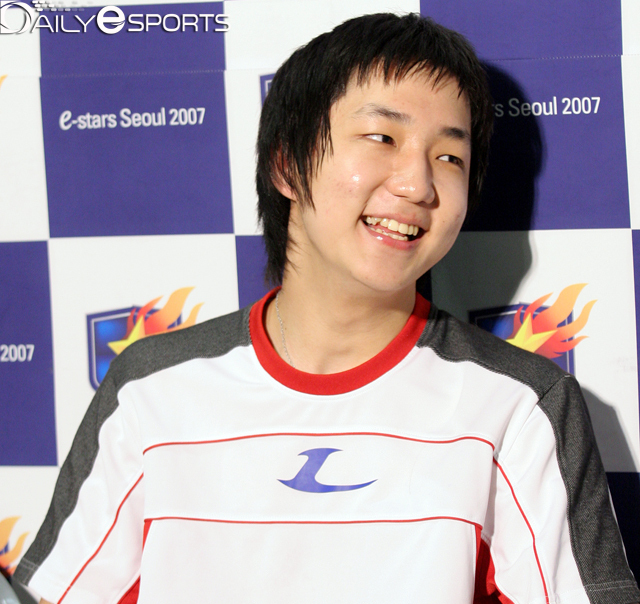 Players who were excellent across multiple eras, such as Stork, or Light, tended to place higher on the list than players who burned brightly for a shorter time-frame such as Bisu, or Leta. This makes sense since being good for longer may not give you more trophies, but it does reward players with decent records across more maps in theory. Could you show us your dataset? E.g. the raw table of ELO by map and player. Also, how are you calculating ELO? E.g. Assuming two players have both never played on a map, but player A has ELO 1950 overall and player B has ELO 2050 overall, are you ranking them as having a starting ELO of 2000 or using their overall ELOs to weight the match? The above page is just one of the numerous statistics page for a map I've manually checked to come up with my list. The ELO points are displayed in the far right. I have no idea how the ELO points are calculated, but I would assume that the guidelines from the link below would be applied strictly within a confines of a single map. Maybe I'll actually do a breakdown of the maps Jaedong and Flash did well in (focusing on the characteristics of the maps), but I don't actually have the table at the ready for this occasion. It would be pretty interesting to take a deeper look at which kind of maps (number of starting positions, how many times it was used within the professional scene, and the era the map was used for) these two players did well in, since both players have a pretty healthy sample size of 18 maps. In the meantime, TLPD is at your disposal for inspection. Asking me to download manually from each of the TLPD pages would be redundant effort if you already have assembled the dataset, no? I'll go over Jaedong's effective map pool first, listed by order of how much ELO points Jaedong managed for each one. A typical map Jaedong had success in was a four player map used in the ProLeague with over 500 games played on it circa 2008, with TvT as its most played mirror, and PvP as its least played mirror. TvZ would be the most played non-mirror, and it would be Jaedong's most played match-up. Now onto Flash, and his effective map pool, listed by order of how much ELO points Flash managed for each one. A typical map Flash had success in was a four player map used in the ProLeague with over 500 games played on it circa 2010. TvZ would be the most played non-mirror. PvP as its least played mirror, while TvT as its most played mirror, which would be Flash's most played match-up. Since these kind of maps would see the most amount of playtime, it makes sense that any player who wished to seek greatness needed to succeed on these kind of maps. You simply cannot become to the greatest players of the modern era without truly mastering the types of maps described above. It is part of the reason why players such as Stork and Bisu couldn't find as much overall career success as the LeeSsang duet. They simply weren't as good on orthodox four player maps as a general rule of thumb (because these orthodox four player maps often screwed over the protoss race the most). 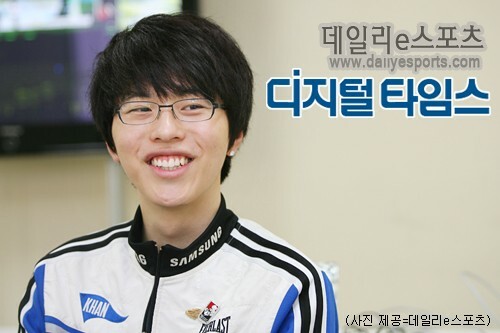 Flash was a TvT specialist (it was his match-up boasting the highest career win rate), who also able to see success on protoss-favoured maps. He either struggled to truly excel on zerg-favoured maps, or didn't appear much on zerg-friendly maps. Jaedong was a ZvZ specialist (it was his match-up boasting the highest career win rate), but since the most frequently used maps rarely had ZvZ as its most common mirror match-up, he often had ZvT (his weakest match-up in terms of his career win rate) as his most commonly played match-up. He was able to see success on terran-favoured maps, often scoring higher scores than his scores on zerg-friendly maps, partly because there aren't any maps with over 1,000 games played on it, that also had zerg-versus-zerg as its most played match-up. Even on Blue Storm, a map with lots of ZvZ matches, Jaedong's most played match-up was actually TvZ. He either struggled to truly excel on protoss-favoured maps, or didn't appear much on protoss-friendly maps. Another difference I noted was that Jaedong had higher numbers of great performances on maps that were used in 2008, while Flash had higher numbers of great performances on maps that were used in 2010. I write posts to draw conclusions on stuff that I want to find out about, not to make it any easier for others to digest the data that's available on TLPD. I count the numbers within the posting screen, while writing and figuring out all this stuff, and instead of making the posts twenty screens long by not erasing all the numbers I've worked with, I post the end results, and explain some of the context, and erase all the data I've been writing and toying around with. I don't have it all saved up in some file form in case that was what you were wondering. Since Taek-Beng-LeeSsang defined the modern era of Brood War, I'll look into the maps belonging to each of the calendar years starting from 2007 (when Flash first made his debut), and pinpointing the maps that each of these players scored the highest ELO points on, and seeing if there is a trend. The issue of designating these maps a specific year will be decided by which calendar year the map in question was most frequently played on. Both Jaedong and Flash scored their highest ELO points on the era-defining four-player map of 2007, Python. Bisu scored his highest ELO points on the era-defining three-player map of 2007, Longinus II. Stork scored his highest ELO points on a somewhat niche two player map, Baekmagoji. Stork also happened to be the best performing player out of these four players on the era-defining two player map of 2007, Monty Hall. Flash again scored his highest ELO point on a four player map, as well as being the best performing player out of these four players on the era-defining four player map of 2008, Andromeda. Jaedong took a liking to two player maps of the era such as Sin Chupung Ryeong and Blue Storm. Bisu again did his best on the era-defining three player map of 2008, Medusa. 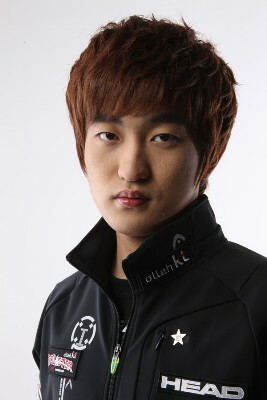 Stork again scored his highest ELO points on the era-defining two player map of 2007, Blue Storm. In a weird freak coincidence, all the four players scored their highest ELO points in a single map, Destination, the era-defining two player map of 2009. Oddly enough, Stork, who had a natural proclivity towards two player maps, was the worst performing member out of these four superstars, suggesting a general decline in form. Bisu returns to his natural inclinations, and scores his highest ELO points on the era-defining three-player map of 2010, Aztec. Flash scores his highest ELO points on a somewhat niche four player map, Grand Line SE. Jaedong scores his highest ELO points on the era-defining four player map of 2010, Fighting Spirit. Stork again scores his highest ELO points on the era-defining two player map of 2010, Match Point. The last pure year of professional Brood War. Bisu deviates from the norm and scores his highest ELO points on a somewhat niche two player map, Alternative. Flash takes a liking to a somewhat niche two player map also, Benzene. Jaedong scores his highest points on a four player map, Circuit Breaker. Stork for the first time in years, scores his highest points on a four player map, Circuit Breaker. An unusual year for a lot of the members. Of the above four players, everybody with the exception of Bisu all had their favourite maps as either four, or two player maps. This natural inclination was essential in deciding the professional success of these players, since three player maps were the least frequently used map format. Bisu from 2007 to 2011 never quite found a four player map he liked over all others, and this is one of the major reasons why he was unsuccessful compared to his talents in my opinion. 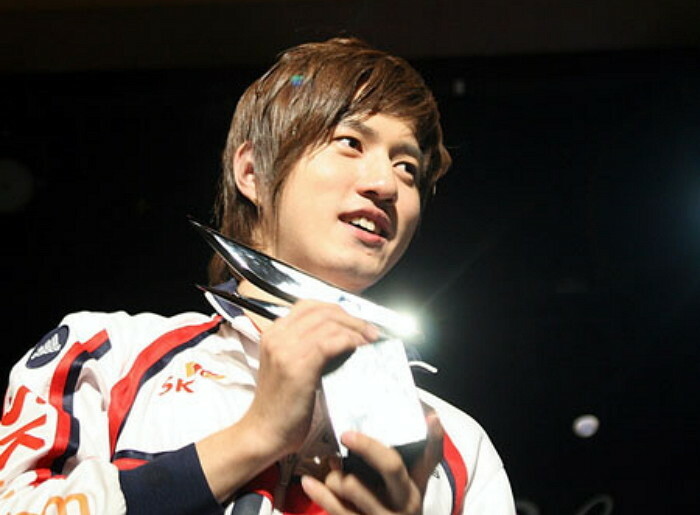 Both Jaedong and Flash had multiple years where they thrived on four player maps, and are of course the most successful players of the modern era. Stork also never found his groove on orthodox four player maps, because he tended to favour two player maps. But if you don't post the raw data, how are we to believe you? All you really need is to post a table lol. He either struggled to truly excel on zerg-favoured maps, or didn't appear much on zerg-friendly maps. 1) that's a false dilemma, because you omit the third possible conclusion - that there simply weren't that many zerg-friendly maps who were played often enough to fit your 2100 ELO cutoff. 1) These are the most frequently played maps that had zerg-versus-zerg as its most played mirror match-up, and the best performing terran players in terms of their ELO points. I will exclude any maps that had less than 300 games counting from after Flash's debut. Since a third of Flash's favourite maps in terms of ELO points had less than 300 games played on it, I hope you'd agree that a sample size of 300 games or above is more than generous. After a quick search on TLPD (I didn't check my secret database in case that's what you were wondering, I click on the TLPD button just like anybody else), I found nine zerg-friendly maps with sufficient sample size, and only one of them had Flash as its best performing terran player. Since there are other names such as FanTaSy and Light coming up multiple times, maybe it's not the lack of sample size alone that explains Flash's relative lack of presence on zerg-friendly maps. In case you were not satisfied with the parameters, and wanted extend the threshold to being a top two performer for the race, Jaedong's success rate rises to 66.66%, while Flash rises to 20%. If you just restrict it to players who achieved 2,100 ELO points for the maps in question, Jaedong has a 50% success rate, while Flash has a 10% success rate. If anything, you should have taken issue with my statement that Jaedong was relatively weaker on protoss-friendly maps. 2) The overall mineral count is essential in deciding whether a map is a protoss-friendly map or not. The high mineral count is a significant part in shaping maps such as Baekmagoji and Neo Forte as protoss-friendly maps. Katrina SE had a significant mineral count reduction compared to the original version of Katrina, and it is a huge reason why ZvZ became more common on the map than PvP. The nerf to the protoss race by reducing the overall mineral count also happened to decide the fate of how the terran-versus-zerg match-up is balanced (zergs don't like facing terran players on maps with high mineral counts), which is why zergs started to do much better on Katrina SE. Coincidently, Flash went from being the best player overall on Katrina (with an ELO exceeding 2,200 points), to not being even the best performing terran player on the map. So in a way, this is yet another case you discovered for me, where a nerf to the protoss race and a buff to the zerg race drastically affected Flash's performance on similarly themed maps. Thank you, for adding ammunition to my hypothesis. 3) Simple really. TLPD doesn't do combined ELO points, and I can't be bothered to do it myself. And no, I don't have a secret vault of data that I'm withholding from you in fear that it'll reveal the full extent of Flash's glory. I set the parameters beforehand on topics I am interested to find out about, look at stuff on databases such as TLPD, and like I mentioned before, everything I've written so far in this thread can be checked out with a single click of your mouse. If looking at TLPD is too difficult, or you find it frustrating to read my posts without the aid of a Shady Sands-friendly personal guide to TLPD and how it should be used to make Flash look great, I am truly sorry that I don't have your mental well-being at the top of my priorities. Have a nice day. If you're not showing your data, how are we to believe that you have exhaustively searched through every map on TLPD? Also your methodology for rebutting 1) above is wrong - you need to show the average, std, and max ELO scores for those maps, by race, to get a sense of whether they were Zerg-favored or not. Can you stop flooding my blogs with posts demanding a table form of the TLPD that far outstrips the original dataset I've been working with in terms of quality? When you're not posting blatantly wrong stuff that exposes your lack of understanding of Brood War, such as singling out Katrina and Katrina SE out of all maps to complain about maps that should have their records aggregated, your entire post history here is about requesting stuff that basically requires me to single handily rewrite the entire data on TLPD into a form that tickles your fancy. Are you jealous of Letmelose or something? He posts incredibly interesting statistics for the community, and over the course of the past months you've consistently been the only person to object to what he's shared with us. Do you think you're doing anyone a favour? You either doubt his facts, or post comments like that he needs to learn excel, or my personal favorite, assume that he's biased against FlaSh and think's he's overrated. You're so condescening and argumentative; are you trying to ruin his posts? I surrender to the fact that you have every right to do what you're doing, but my god man, please develop some social perception and stop. If your posts were youtube videos they'd be the ones with 2 upvotes and 2031 downvotes. Just saying. Keep up the good work Letmelose, your blogs are always very interesting. About Bisu and 3 player maps. I have had the perception, or the theory, that barring any race-specific quirks on 3 player maps, I would expect P>T and Z>P to be strengthened due to the left-hand race's ease of taking a second main when compared to the facility of the race to its right. This approach is admittedly simplistic as it ignores, as I said, map-specific imbalances (why IS Aztec so good for P? ) and quirks (double gas third gasses on Longinus), as well as trends over time for a more even distribution of bases in 3 player maps (culminating in the near-circular Demian). With this in mind, I would posit that perhaps Bisu performed best in 3 player maps due to his ability to overcome the Z>P advantage better than his peers, an artifical boost being given to his relatively lackluster PvT, as well as promoting a greater chance of PvP on maps like Aztec and thus allowing Bisu to demonstrate his superiority over the majority of his Protoss brethren more frequently. Based on what you've seen/heard/looked at in the past (not going to ask you to dig more haha), do you think there is any merit to this? Can you stop making blogs that have sweeping assertions in them about various players based on incomplete data? a) you need to prove that you've looked at all the maps and filtered each of them for 2100 and up ELO. e.g. there could be maps where certain players have done well which you have simply omitted from your analysis. b) your method for determining whether a map is favored for a race is not statistically rigorous. To reiterate, just because a given mirror matchup is played more frequently on a map does not mean it is friendly towards one race or another. Why? Because the relative racial proportions of players in both proleague and Starleague brackets varies over time - and whether a map is played or not is a time-dependent variable as well. E.g. consider map A that is played 500 times when there are 40% Z players, and 30/30 of the other two races active in proleague and SL outrounds. Then consider map B that is played 500 times when there are 33/33/33. The two will show a marked difference in terms of what the expected mirror matchup ratio is. And guess what? The above will affect ELO as well. Assume player A has an 80% ZvZ winrate - his/her overall ELO will be inflated when the whole map pool favors Z or when there are a lot of Z players active, across all the maps in that time period. Now assume that there is a map with a bad vZ winrate but that this player miraculously does well on - you will say "hurrah this means the player fought against imba" when all it means is that the other maps during that time period were Zerg-favored. So just judging from per-map ELO alone does not make them a versatile player who is good across a lot of maps - it could just mean they're a matchup specialist. (Or it could mean nothing because there are not enough data points to calculate this if you segment the data per map). And even if it didn't, remember that ELO depends on also the ranking of players going into the system, so if the players are not starting with 2000 as a seed value your analysis is still kaput unless you can verify otherwise. I could go on but the gist of it is that you are making assertions by misinterpreting and selectively editing the evidence. Whether that's because of your own bias against Flash and towards Jaedong is something I would leave in doubt but not after you decided to troll some Flash fans with your Ace match losing streak analysis. (By the way, the reason Flash was in a losing streak then was because he was cutting down on practice time based on the advice of his physical therapist, and hence decided to prioritize his individual leagues knowing that KT had already made the playoffs. But of course, as someone who knows everything there is about BW, surely you knew that, right?). Bisu thrives on maps that have abnormally high win rates for the protoss race in the PvT match-up. Setting a threshold as a map (including only the maps with over 300 games played on the map overall, to exclude overly niche maps) having a 55% or greater win rate for the protoss race in the PvT match-up, let's look into the maps for each calendar year (to partially account for Bisu's fluctuating form), and see how Bisu performs on those maps. Out of these eleven maps with abnormally high win rates for the protoss race in the PvT match-up, Bisu scored 2,100 or more ELO points on six of them (more than half), suggesting a certain level of correlation. However, there is a possibility that Bisu has an affinity for three player maps on top of that, considering all the maps Bisu did poorly in despite the map having high PvT win rates were either two player or four player maps. There may be multiple factors involved in this phenomenon, but the factor you've mentioned may play a large role. Since Alternative, Destination, and Fighting Spirit, the other three maps Bisu also had an ELO point above 2,100 points, all had a PvT win rate ranging from 51.5% (Fighting Spirit) to 100% (Alternative), the correlation does become somewhat stronger, since 7 out of Bisu 9 favourite maps in terms of ELO points had PvT win rates above 55% for the protoss race. 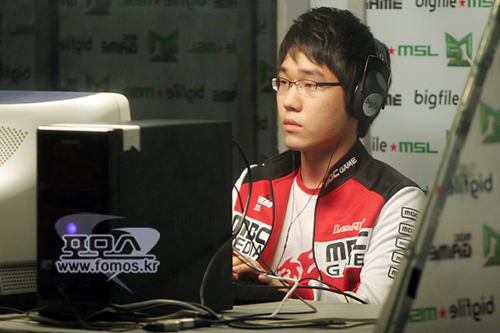 The relatively lower terran presence on three player maps may have helped Bisu. I didn't know you were in charge of the quality control around here, making sure all blogs about Brood War have Excel files backing up all the data mentioned, and making sure no comments involving the player Flash can be made without a full statistical analysis that goes beyond mere TLPD records, unless, of course, it is about his brilliance. It's a blog. These are my thoughts based on my research. Chill out, and try and prove me wrong instead of complaining about my blog's lack of quality (without actually adding any substance to help that lack of quality) or going off on weird tangents that has nothing to do with the subject at hand. These are my personal opinions, and of course most of it heavily influenced, or even paraphrased from wiser and more knowledgeable posters I have encountered up to now. Maybe you can up your game in terms of proving me exactly how and why I'm so wrong about Flash, and I'll spend the rest of my days paraphrasing your words instead of openly mocking it.